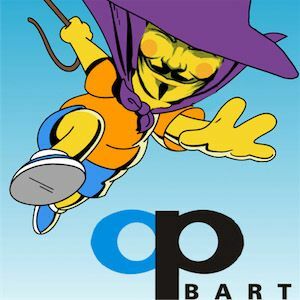 The hacking and civil disobedience group, Anonymous, hacked into the San Francisco Bay Area Rapid Transit (BART) website, myBart.org, and obtained, according to a BART news release, the contact information of 2,400 of its 55,000 members. The company said, that in most cases, “the information consists of names, email addresses, and passwords”. Anonymous was able to shut down the myBart.org website on Sunday, and as of this writing, the site has been replaced with an “Under Construction” page. Anonymous waged the attack on BART after the company shut down the cell phone services in the area on July 11th, in attempt to impede planned citizen protests which sought to disrupt rush-hour BART transit commutes. This protest, according to ABC7 News, was “in response to the killing of Charles Hill by BART police a week earlier”. Anonymous will attempt to show those engaging in the censorship what it feels like to be silenced. #OpBART [campaign] is an operation geared toward balance – toward learning. You do not censor people because they wish to speak out against the wrongs the wrongful things occurring around them. Anonymous is calling for a peaceful protest of BART to be held today, August 15, at 5pm at the San Francisco Civic Center station. It’s also asking its “followers to file a complaint with the FCC and bombard BART with emails and faxes”. Recent news according to news blogs alerts that Julian Assange has betrayed his connections with the CIA and influenced an attack against social media sites by mimic'ing the profiles of would be terrorist and organizations. Assange a newly turned CIA informant has previously exposed the islamic extremists that were visiting his wikileaks website which prompted the arrests recently of many Islamic terrorists associated with the muslim brotherhood; Hamas; and Al-Q'ueda/Taliban throughout the Pakistani and Afghanistan regions. Please stay tuned for further reports and what this means for the Hacker group anonymous whom pledges releasing information that promotes a "true" sense of freedom. Valentin, thanks for your feedback. Hope you can find some time learn more about the topic.